With the huge success of their All or Nothing LP laying in the backdrop, Calyx & Teebee are about to take the title place yet again and with the full throttle forces of pounding basslines and meticulously constructed mechanics. But what else could you expect from two revered veterans of the genre, whose joint muscle has telescoped the competition in comparison. However, it's not just their duteous workmanship and forty years of expeirence that makes their forthcoming '1x1' album so undeniably huge. In tracks like 'Nothing Left' Larry Con's vocals lead you by the hand into all-out anarchy. Revving between each break, your picked up and dropped by verbal crescendos. 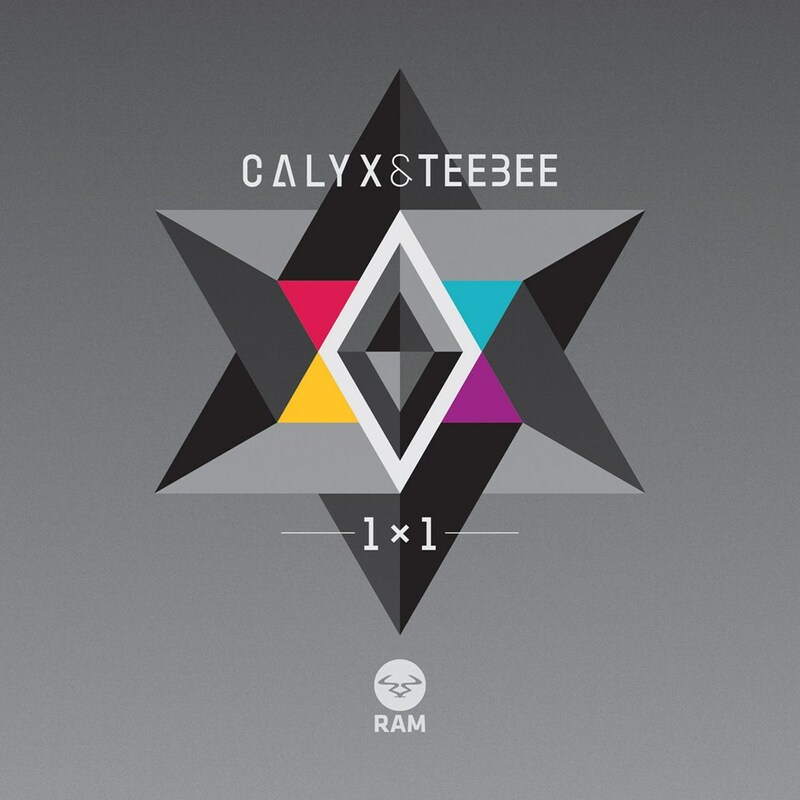 Angry, yet innovative and impressively intricate, Calyx & Teebee have raised expectations even higher. And then comes 'Stray Bullet', a minefield of drum patterns and wavering note arpeggios. A steppy riddim which completely envelops the sense, each segment explodes on impact. Sliced and diced by invasive samples, you're unable to resist; plunging you deep into the mix, the slowly building drop pushes you into a freefall of plucky subs and jittering percussion. 'Ghetto' rolls out as another new number, again featuring the vocal talents of Doctor; it's a gritty, sharp and pumping with shaking subs; a conundrum of hi-hats and aggressive drum patterns. Pounding pads take you towards a colossal break, juxtaposing perfectly against the LPs softer touches. Having already hit the number one spot on the Beatport drum & bass chart with both singles 'A Day That Never Comes', 'Long Gone' and 'Cloud 9', it's quite clear to see why the anticipation is almost unbearable. Also including the infamous collaboration with Doctor on 'Where We Go', brand new, female-lead vocal 'track 'The Fall', half-time switch up 'False Alarm' as well as even more material to be unleashed, this LP will catapult you head first into their greatest output yet. Having played some of the world's biggest stages, including EDC, London's SW4, Ram's seminal NYE event and UKF's Sea Dance Festival, expect another one of music's most prominent seasons filled with new music from Calyx & Teebee. '1X1' is set to make history, which isn't surprising after hitting millions of streams with their previous singles and detonating dancefloors globally.